Being a Groton Wedding Photographer means I get to go to the fabulous Gibbet Hill Wedding venue. Farm events have become all the rage! There are so many amazing places to have a vintage wedding that has a hint of old country. 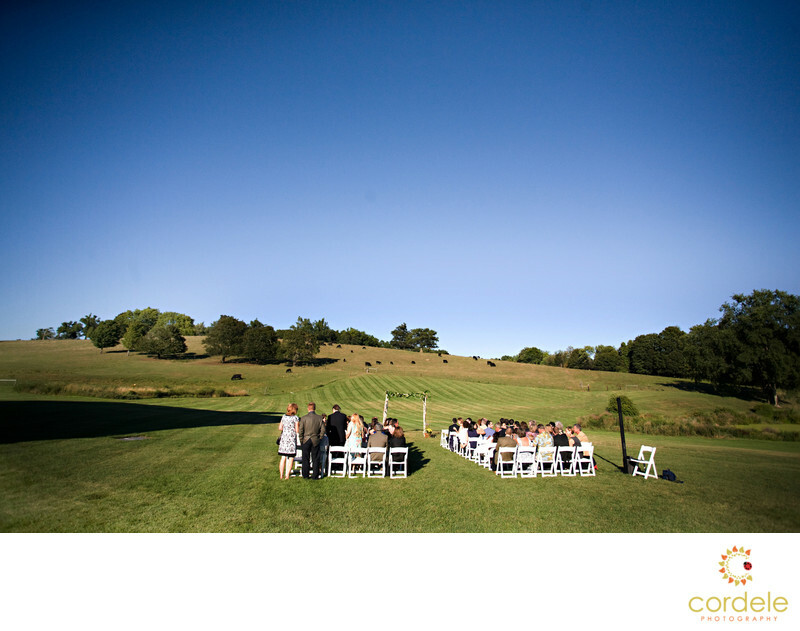 A wedding set up over the rolling hills at Groton's Gibbet Hill. One of Boston's best wedding venues, its a fantastic spot to have an outdoor wedding ceremony! As you say your vows you get the approval of the cows as they walk by and moo at you. Later you are moved into a barn that is so beautiful and rustic. Up the hill from the venue are old burn down castle ruins that couples can head to for portraits during their wedding or just for engagement photos! Location: 61 Lowell Rd, Groton, MA 01450.